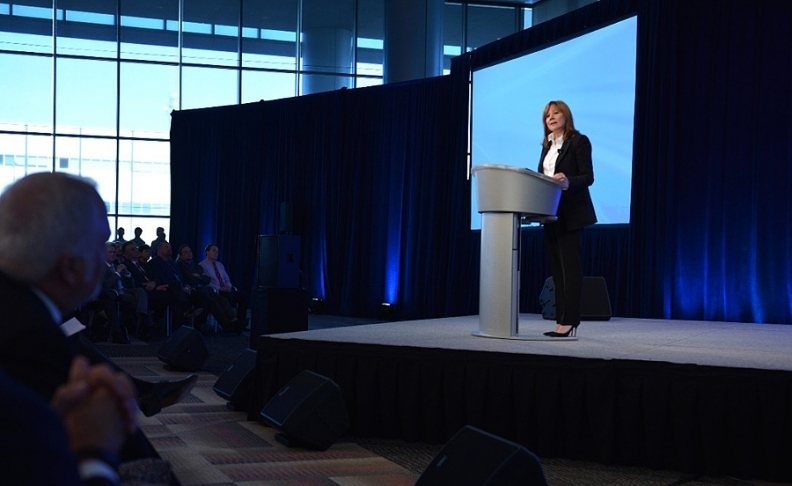 CEO Mary Barra to GM employees: "This is not just another business crisis for GM." DETROIT -- General Motors CEO Mary Barra gave the most forceful and forthright speech of her short tenure, telling thousands of employees that she was "saddened and disturbed" reading the internal report detailing the company's deadly ignition switch defect while vowing to never let the company forget the lessons learned. During a passionate 15-minute speech tinged with anger and resolve, Barra told employees on Thursday that it was "enormously painful" for her and others "who have dedicated our lives to this company" to read the report, which was compiled by attorney Anton Valukas on GM's behalf. "This is not just another business crisis for GM," she told nearly 1,000 employees gathered at GM's suburban Detroit engineering center, with tens of thousands more workers, dealers and others viewing a live video stream. "I never want to put this behind us," Barra said. "I want to keep this painful experience permanently in our collective memories. I don't want to forget what happened because I -- and I know you -- never want this to happen again." Her delivery diverged sharply from her testimony before congressional committees two months ago, during which she repeatedly deflected lawmakers' questions about what went wrong. Barra received a standing ovation as she stepped to the podium. GM's top executives occupied the front row, including President Dan Amman, CFO Chuck Stevens, global product chief Mark Reuss and GM North America President Alan Batey. Employees shown on camera sat stone-faced listening to their CEO detail findings that she described as "brutally tough." Barra spoke frankly when detailing the "history of failures" by GM employees over 11 years to identify the problem with the ignition switch and to elevate as a safety issue in need of a fix. "I hate sharing this with you as much as you hate hearing it," Barra told employees before outlining the findings, which concluded that there was no corporate cover-up but that many individuals across the engineering, legal, and other departments failed in their duties. "Nobody took responsibility," Barra said. "Throughout the entire 11-year history, there was no demonstrated sense of urgency, right to the very end." But Barra also made plain that, as a 33-year GM veteran, she felt the same humility and anger that many of her colleagues have felt amid the negative headlines about the recall crisis over the past three months, assuring them that she knows "we are better than this." She closed her remarks with an upbeat message, saying that she believes "in this company, and I believe in you." "This is a test of our character and our values," she said. "I'm not afraid of the truth, and I know you aren't either."